In the last couple of days, social media has been inundated with the #10yearschallenge. From celebrities to sports teams and pretty much anything that has survived the last 10 years, people have been quick to post comparative images of what existed of their condition 10 years ago, and now. 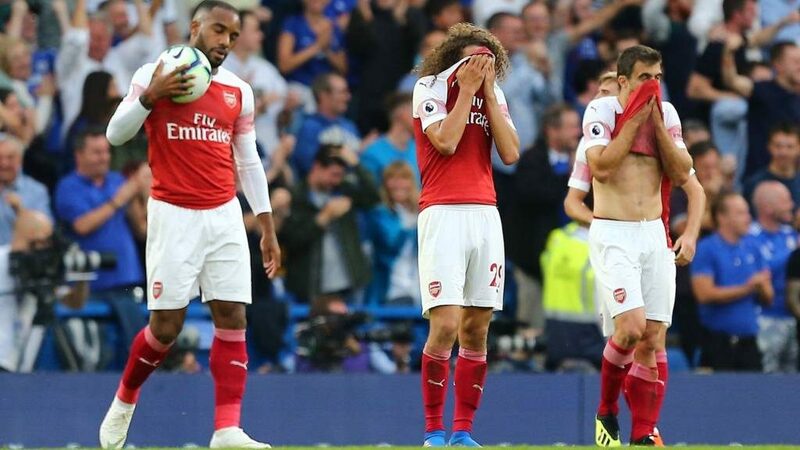 When it comes to this London derby between Arsenal and Chelsea, only one team could afford to do the challenge with a smile – Chelsea. In May 2009, Chelsea visited the Emirates stadium knowing victory would guarantee them a 3rd place finish and secure a place in the group stages of the Champions League. The Guus Hiddink’s side were ruthless, winning 4-1 in the process, with goals from Florent Malouda, Nicolas Anelka and a Kolo Toure own goal adding to that famous free-kick from Alex. Saturday’s game is almost quintessential to what transpired 10 years ago. 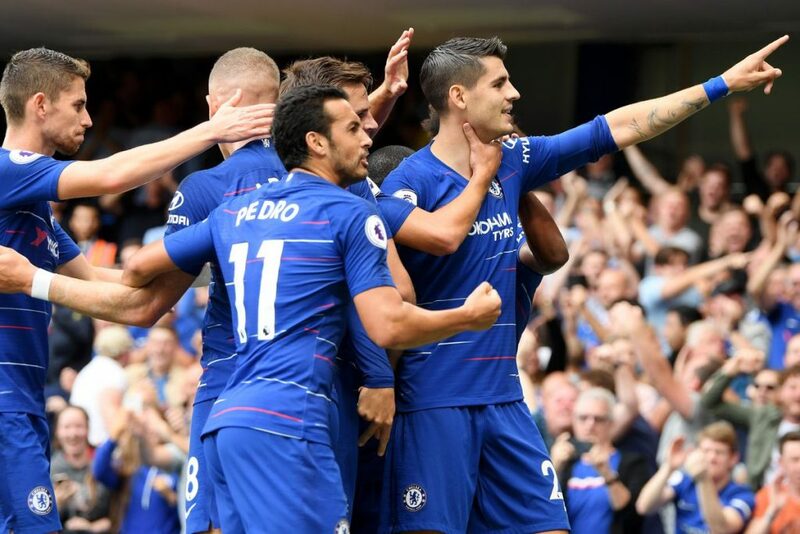 A win for Maurizio Sarri’s men would take them to 3rd position and extend their lead over Arsenal to 9 points. In that race for the top 4, that may not be quite insurmountable yet, but extremely crucial. For Unai Emery’s Arsenal, losing is not an option. With Man United up on their heels, anything but a win could see them slip to 6th position, and damage their chances of a top 4 finish. Both teams have seen early season bliss gradually fade into a battle for top 4. The gunners enjoyed an incredible 22 game unbeaten run while Sarri’s brand of football, nicknamed “Sarriball” excited many around the globe. Emery’s men now have just one win in their last 4 while Sarriball has at times been ponderous and pointless with its passing. When the two sides met in a match day two encounter back in August, both teams were at the peak of their prowess. Chelsea stole a 3-2 win at the death, but even they know they had Arsenal’s profligacy to thank for that result. Saturday’s game provides the perfect opportunity for both teams to breathe life back into their seemingly dying campaigns. • Arsenal have failed to beat Chelsea in any of their last four Premier League meetings. • Chelsea and Arsenal have played each other 53 times in Premier League history. The Gunners are narrowly ahead by 19 wins to 18. • Unai Emery’s side have just one win in their last four matches. • The Gunners boast the third best home record in the division while Chelsea have the third best away record. • Chelsea not scored more than two goals in a match since November. Arsenal’s Lucas Torreira was labeled the “Uruguayan Kante” when he started out at Arsenal. And rightly so. The former Lazio man churned out the sort of performances that Kante used to be known for. Recently however, the Uruguayan’s form has been patchy. After a horror show against Liverpool in which he failed to win a single tackle, he was dropped in last week’s loss to West Ham. His replacement in Matteo Guendouzi also failed to glitter and the Uruguayan could be restored to the starting line-up for this blockbuster. Kante on the other hand, has had a fairly consistent run, adding attacking abilities to his game due to the change in role in Sarri’s system. He still remains Chelsea’s ultimate ball winner and whoever wins this battle could determine how this game goes. With 5 goals, Eden Hazard is currently the highest scorer in this fixture. His solo effort two seasons ago at Stamford Bridge remains one of his best goals ever. Mustafi was one of the five players Hazard beat en route to scoring that goal. Mustafi has often had a torrid time whenever he’s come up against the Belgium, resulting in an entire highlight reel on YouTube of Hazard going past the German. Hazard is the first player to score and provide 10 goals and assists this season. It will not be surprising to see the Belgium target Mustafi again as he strives to keep that run going. Arsenal’s Pierre-Emerick Aubameyang is the premier league’s top scorer with 14 goals and Arsenal will be counting a lot on him to score against Chelsea. Standing his way however, is David Luiz. The Brazilian has been one of Chelsea’s best performances in recent weeks. Not surprisingly however, defending isn’t even where Luiz has been most crucial for Chelsea. As passes from the middle to the forwards have dried up, Luiz has taken over Chelsea’s quarter back role, spraying defence-splitting passes to the forward players. Pedro is usually his target as we saw in the games against Manchester City and Newcastle United over the weekend. Mesut Ozil is expected to miss out again as Unai Emery’s relationship with the German continues to deteriorate. The gunners are also without Henrikh Mkhitaryan, Rob Holding and Danny Welbeck due to injury. Chelsea will most likely be without Alvaro Morata as he seeks a move away from the club. He is also nursing an injury. Ruben Loftus-Cheek remains out. Predicted Chelsea line-up (4-3-3): Kepa; Azpilicueta, Rudiger, Luiz, Alonso; Kante, Jorginho, Kovacic; Pedro, Hazard, Willian. 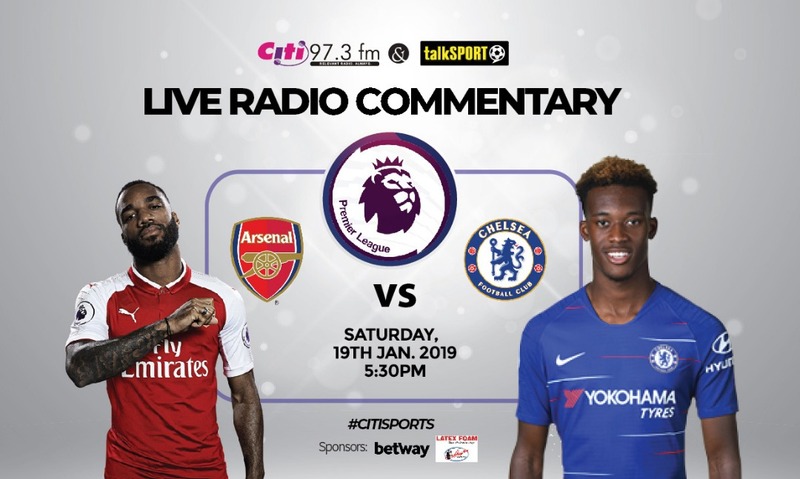 The match will be live on Citi 97.3FM on Saturday at 5:30pm.